Marina One Residences will be one of the iconic landmark at the heart of Singapore new business district at Marina Bay. It is a joint development project between two countries, Singapore and Malaysia. 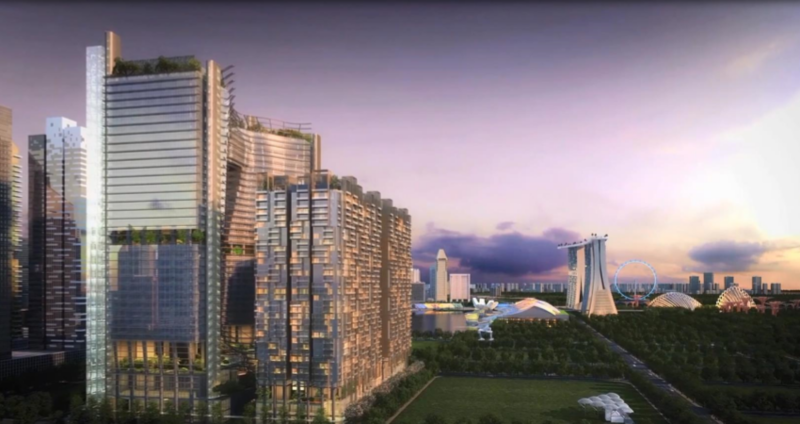 Its developer is M+S Pte Ltd, a company owned 60:40 by Khazanah National Bhd and Temasek Holding Pte Ltd respectively. 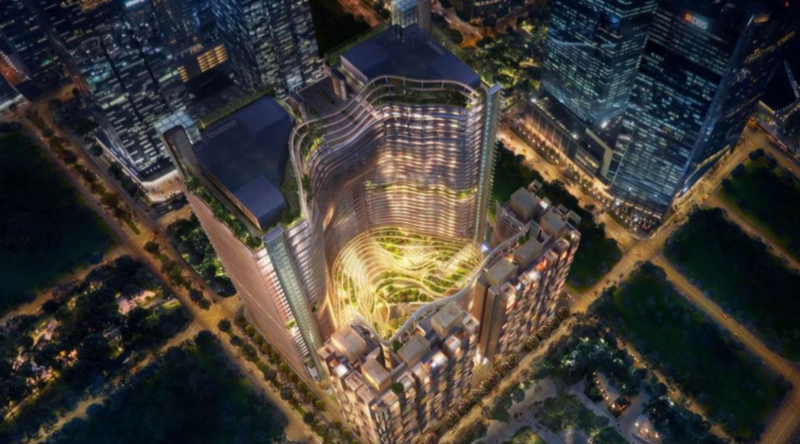 The integrated development has a gross floor area of 3.67 million square feet which features a unique vibrant garden surrounded by two towers with 1042 luxury residential units and another two towers for Grade A offices and retail space. 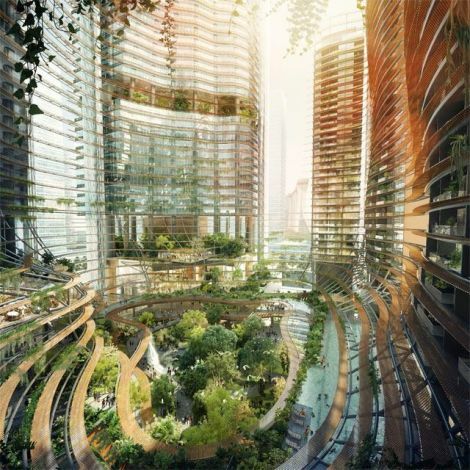 The center piece of Marina One called “The Heart” will be a sanctuary and green civic space for communities to come together at the heart of Singapore’s future Central Business District ( CBD). This Development had won three awards at the Asia Pacific Property Awards 2012 in April. They are the Best High Rise Architecture, Best Mixed Use Architecture and Best Mixed Use Development. Why Marina One Residences ? 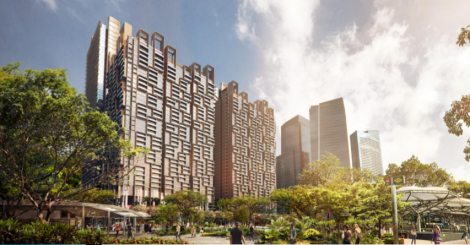 Located in the heart of the new CBD as a catalyst to the business potential and investment value of the Marina Bay district. Integrate development with Premium Residences, Retail ad Grade-A Offices.34 storey Residencial Tower comprising 1,2,3 and 4 Bedroom and Penthouse. 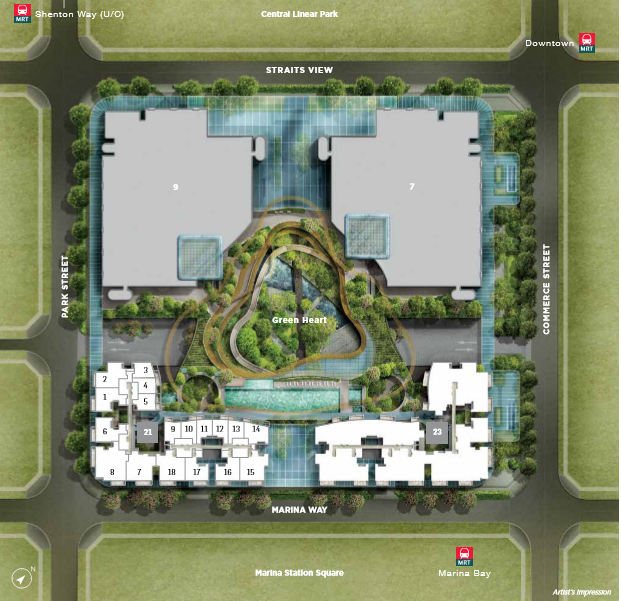 A central space connected by 4 MRT lines and is conveniently located below the development.65,000 sq of lust grenery with a 13 metre waterfall. Designed by Internationally well-known German Architect – Christoph Ingenhoven. 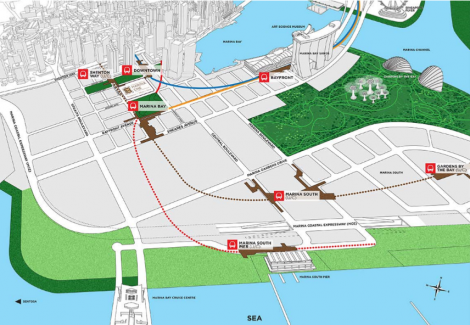 Flanked by 2 parks – Marina Station Square and Central Linear Park. Singapore’s Newest Iconic Building. Faizal RahimHi, thank you for your interest. © 2019 (faizalrahim.com) All Rights Reserved.